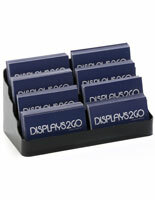 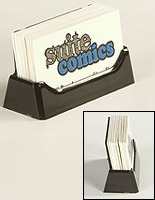 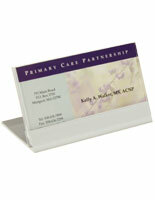 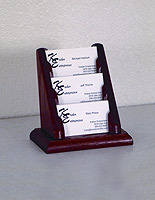 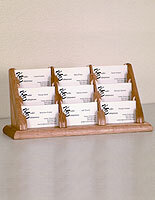 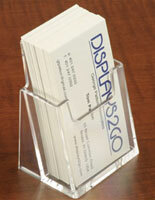 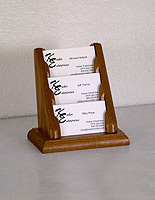 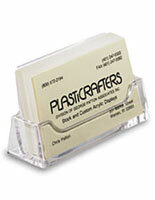 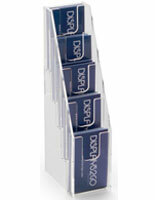 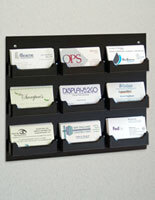 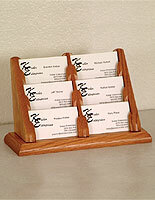 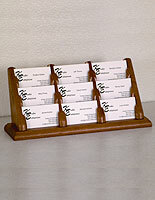 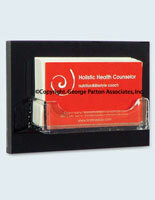 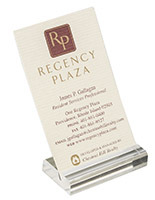 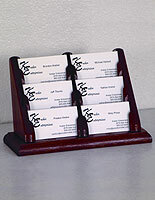 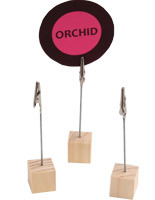 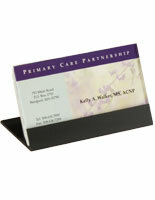 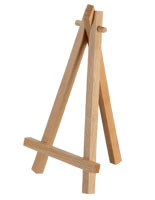 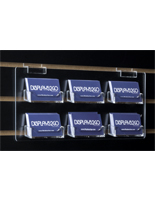 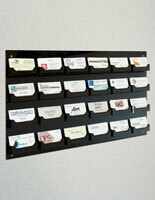 Wood business card holders, also called wooden calling card displays, are perfect for professional office environments. 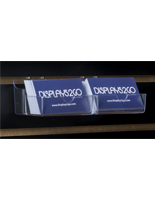 The desktop cases add a touch of traditional style while ensuring important company contact information is readily available to interested customers. 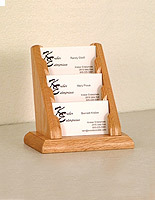 Wood business card holders are ideal for increasing brand recognition at retail locations, trade show events, and business offices. 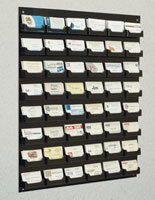 There are many multi-pocket configurations to choose from, so users can display just one style of calling card or multiple depending on the specific need. 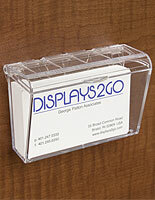 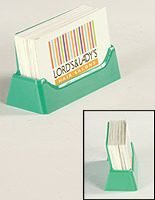 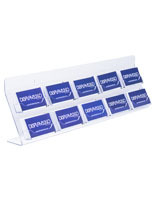 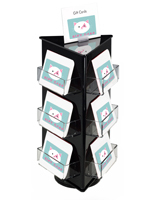 Front desks, service counters, and checkout stands are great places to set up a visiting card holder. 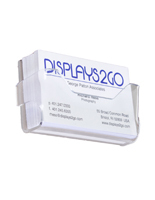 Here, potential clients can easily collect the contact information from the case while making a purchase or receiving assistance. 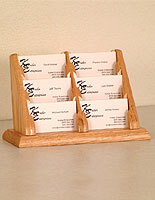 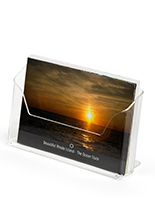 Purchase wooden desk accessories like these card holders to share phone numbers, physical & electronic mail addresses, office locations, and more. 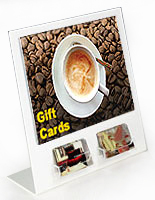 Some retail stores even place store credit cards and gift cards in the slots to encourage membership. 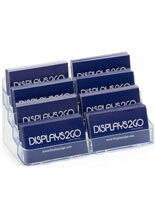 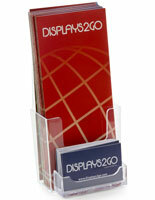 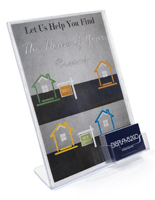 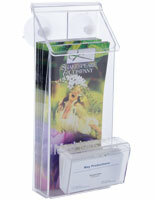 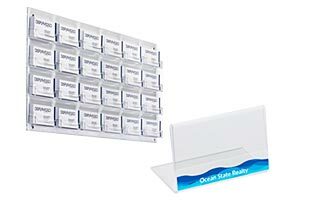 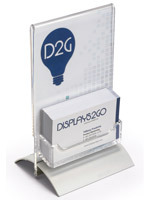 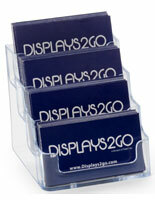 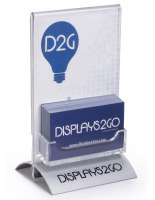 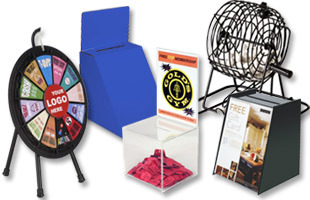 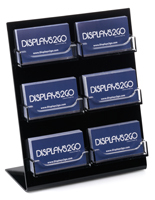 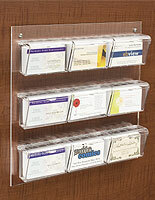 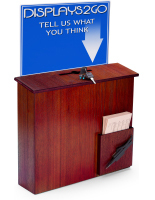 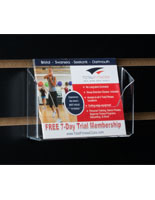 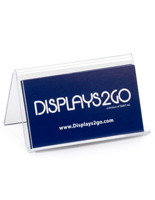 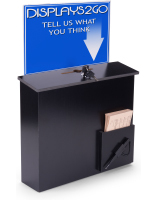 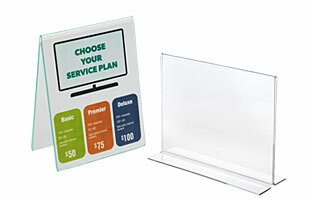 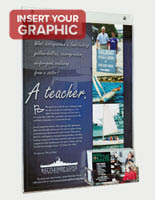 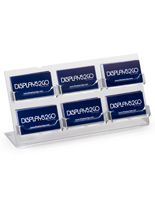 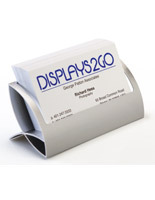 The possibilities are endless for these high quality desktop card display systems.